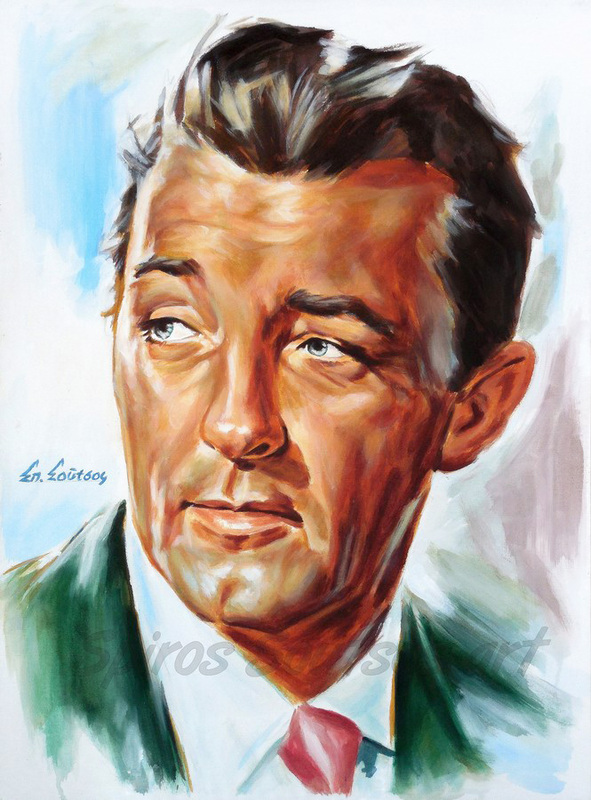 Robert Mitchum (August 6, 1917 – July 1, 1997) was an American film actor, director, author, composer, and singer. Mitchum rose to prominence for his starring roles in several classic films noir, and is generally considered a forerunner of the anti-heroes prevalent in film during the 1950s and 1960s. His best-known films include The Story of G.I. Joe (1945), Edward Dmytryk’s Crossfire (1947) with Robert Ryan, Jacques Tourneur’s Out of the Past (1947), Otto Preminger’s Angel Face (1953), River Of No Return (1954) with Marilyn Monroe, Charles Laughton’s thriller The Night of the Hunter (1955), The Enemy Below (1957), Thunder Road (1958), J. Lee Tompson’s Cape Fear (1962) with Gregory Peck, and Howard Hawks’ western El Dorado (1966) with John Wayne. Mitchum is rated no. 23 on the American Film Institute’s list of the greatest male stars of Classic American Cinema. Robert Mitchum is best known for his work in film noir. In 1947, he starred along with Jane Greer, and Kirk Douglas in the film-noir “Out of the Past”. The film was produced by RKO Pictures, and the key personnel — director Jacques Tourneur. The film’s cinematographer Nicholas Musuraca also shot Tourneur’s Cat People. The film was adapted by Daniel Mainwaring (using the pseudonym Geoffrey Homes), with uncredited revisions by Frank Fenton and James M. Cain, from his novel Build My Gallows High (also written as Homes). Film historians consider the film a superb example of film noir due to its convoluted, dark storyline, dark cinematography and classic femme fatale. In 1991, Out of the Past was added to the United States National Film Registry by the Library of Congress as being deemed “culturally, historically, or aesthetically significant. The film is considered one of the greatest of all films noir.